Players can try out the new snow-themed map Vikendi in PUBG and get their hands on the Survivor Pass as well. PUBG players can take on the frozen tundras of the newest Vikendi map now, as the fourth and newest in-game expanse is available now. Vivendi is a 6x6 frozen environment that's small enough to accommodate each players' style, with plenty of unique landmarks scattered across the area. 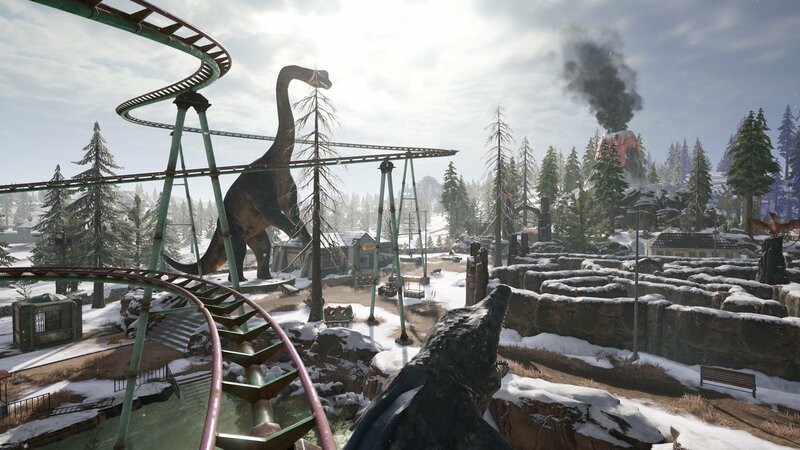 You'll find European-style cities, the Cosmodrome, a Dino Park with its own maze, and even a series of snowy forests to explore. This varied type of terrain means that players have a variety of different ways to interact with their environment, in spite of the massive amount of snow on the ground. In fact, that makes things a bit easier – players and their vehicles will leave tracks in the snow, and the amount of snow on the ground will change. Players can drop into light or heavy snow or even clear skies, with strong winds attached. As far as pickups go, the G36C rifle will be up for grabs, a new 5.56mm assault rifle that's exclusive to Vikendi, with a lower rate of fire than the 7.62mm version. There's also a fun Snowmobile available to drift through the snowbanks with ease. You can also pick up PUBG's Survivor Pass: Vikendi now, which is the gift that keeps on giving. It will let players earn skins and other rewards by completing over 300 missions and playing the game as normal. Access for the pass is free, but exclusive missions, faster leveling, and a series of additional rewards can simply be earned by paying for the Premium Pass. Both the map itself and its corresponding Survivor Pass are now available for PC owners. Xbox One and PlayStation 4 will get their hands on the content as of January 2019.